The Kingsport Center for Higher Education participates in the Art in the Heart of Kingsport event, May 30 and 31, from 5 p.m. to 8 p.m.
Art in the Heart is presented by the city of Kingsport Office of Cultural Arts, Downtown Kingsport Association, and a variety of local art galleries. 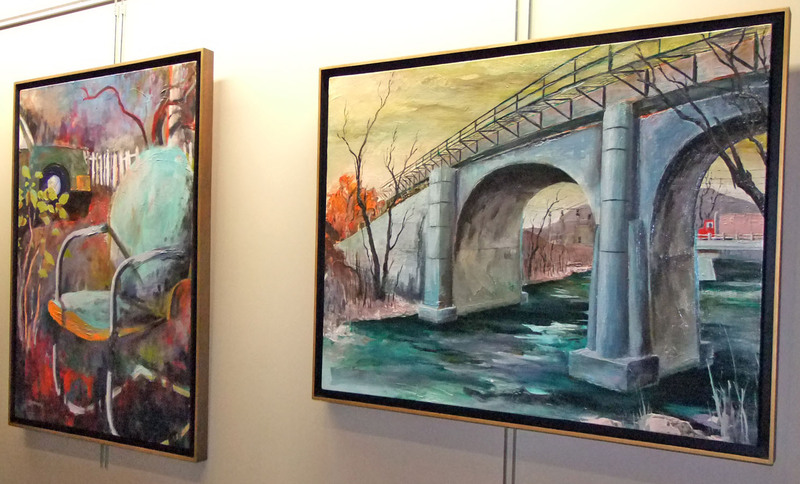 The two-day event celebrates regional art including a Sculpture Walk reception, Arts Crawl, music and art demonstrations as well as exhibitions by the Symphony of the Mountains, the Kingsport Art Guild, KingsportARTS Youth Programs, Suzuki Talent Education Association, and Kingsport Ballet. 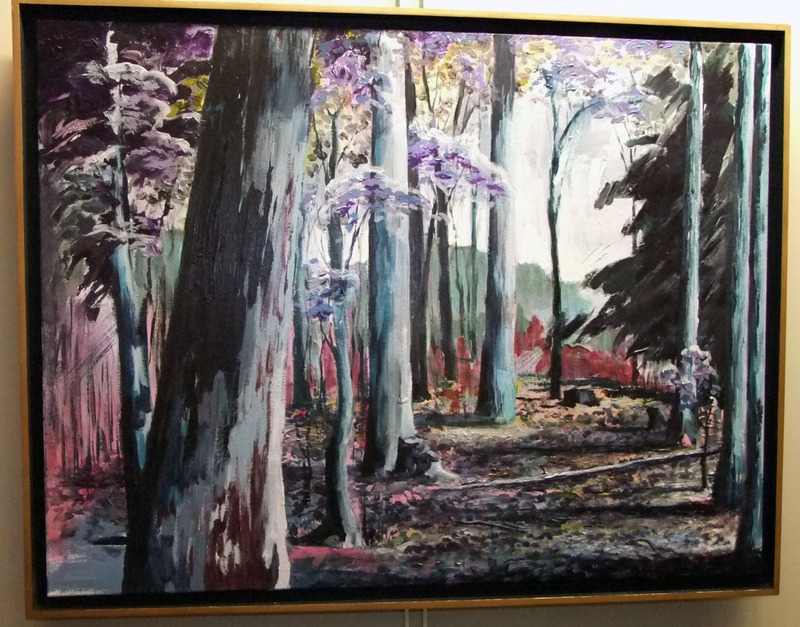 KCHE showcases the works of artist and Northeast State faculty member Russell Blankenship. 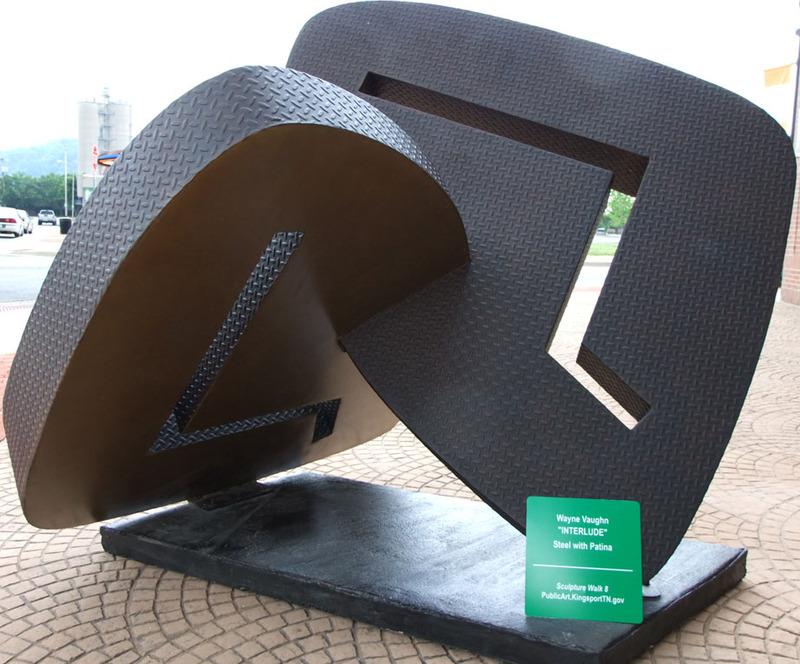 In addition, KCHE features the sculpture “Interlude” by Wayne Vaughn as one of many sculpture exhibits in downtown area. Blankenship hails from Elizabethton and is a graduate of East Tennessee State University. Interlude by Wayne Vaughn, part of tonight’s Art Crawl. The popular Art Crawl happens tonight. Tickets are $35 and give patrons the opportunity to visit six art galleries located along Broad and Market streets from 5 – 8 p.m. Participating galleries are: Cindy Saadeh Fine Art Gallery; Dirt Werks; Star Trails Downtown Kingsport; Style; Suzanne Barrett Justis Gallery and Studio; and Up Against the Wall Gallery. Tickets are available in person at the city of Kingsport Office of Cultural Arts in Room 224 of the Renaissance Arts Center, 1200 E. Center Street and at the Downtown Kingsport Association, 229 Broad Street. 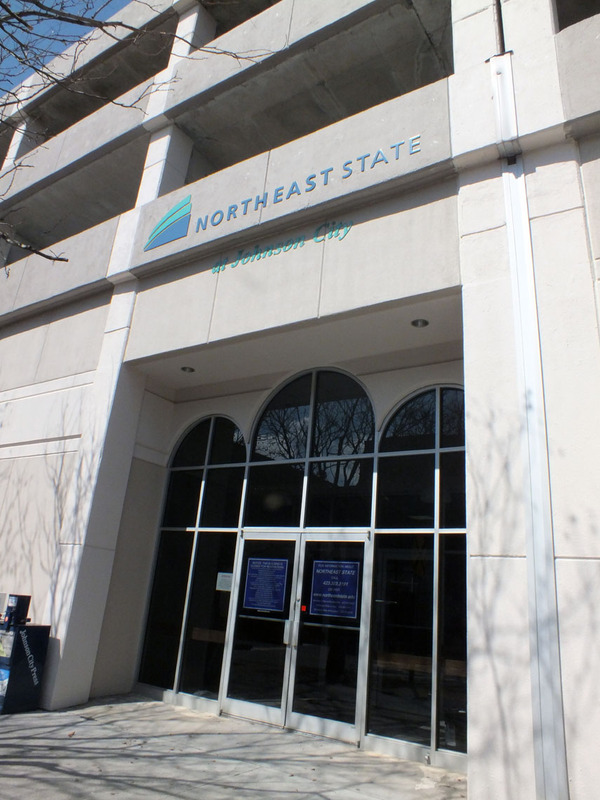 Northeast State has completed the installation of a new HVAC system at its Johnson City teaching site. The College contracted the S.B. White Co., Inc. of Johnson City to install two boilers as part of the replacement for the HVAC system to serve classroom and administrative space in the facility. The two units will permit the use of one or both as demand dictates. The old system had been in the building since the Downtown Centre was built in 1986. In a comparison of the current boiler with the new system, the thermal efficiency is expected to increase to 95 percent, which will reduce energy costs substantially. The system features a 10:1 turndown, meaning a boiler can “turn down” to 10 percent of capacity without cycling, preventing needless energy losses. The system can also be monitored and controlled by remote access. The HVAC system was funded in part by a Clean Tennessee Energy Grant. The grant program funded a number of projects designed to reduce air emissions, improve energy efficiency and create cost savings across the state. Eligible recipients included state and local government agencies, utility districts, and private businesses/organizations in Tennessee. Completion of the HVAC installation allows Northeast State to proceed with Phase 3 of the facility’s renovation, which will include the design and build out of offices, classrooms, and labs. The building is located at 101 E. Market St. Weddings and formal events mark important life milestones. Kristie Johnson, owner of Annie’s Room formal wear boutique in Kingsport, knows the right dress carries everlasting memories for a bride. Johnson spent a recent morning talking brides and business with some budding entrepreneurs in Dr. Garry Grau’s small business finance class at Northeast State. “When the business is your baby, it truly becomes a part of you,” Johnson told students. Johnson’s grandmother started Annie’s Room business in 1980. Johnson took over the operation several years later when she was only 19. She quickly learned the competitive bridal and formal wear industry was not for shrinking violets. Online competitors offered cheaper prices but not that “say yes to the dress” personal connection. Johnson explained how smart financial planning helped dealing with merchandise vendors. Her business required balancing the industry’s busy season between January to May to the leaner times in fall and winter. Smart buying and trust built with vendors kept a business in the black and problems easier to solve, she said. 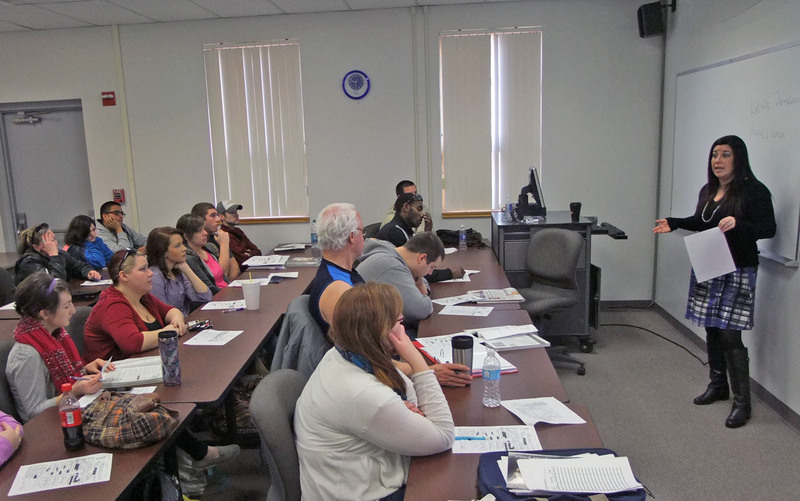 NeSCC alumna Kristie Johnson breaks down real world experiences for business students. Johnson moved into her new location on North Eastman Road in Kingsport in 2010 after customers urged her to expand. The larger space accommodates more merchandise and fitting areas. Due to the personal nature of formal events, Johnson also discussed how social media played an important role in marketing a big day or night for her clients. Drawing on a demographic of teenagers, college students, and new brides, she stays online using business and friend platforms of Facebook as well as new merchandise previews on Instagram, Twitter, and Pinterest. She also advised students to stay involved in the day-to-day operations of the business. A smart business owner knows every piece of inventory and every day’s sales receipts, she said. Johnson earned her associate degree in business management at Northeast State. She went on to earn her bachelor’s degree at King University. She told students her college education gave her the tools to deal with unexpected real world issues. Business professionals and experts frequently visit Grau’s classes to give students insight into the practicalities of the modern business world. 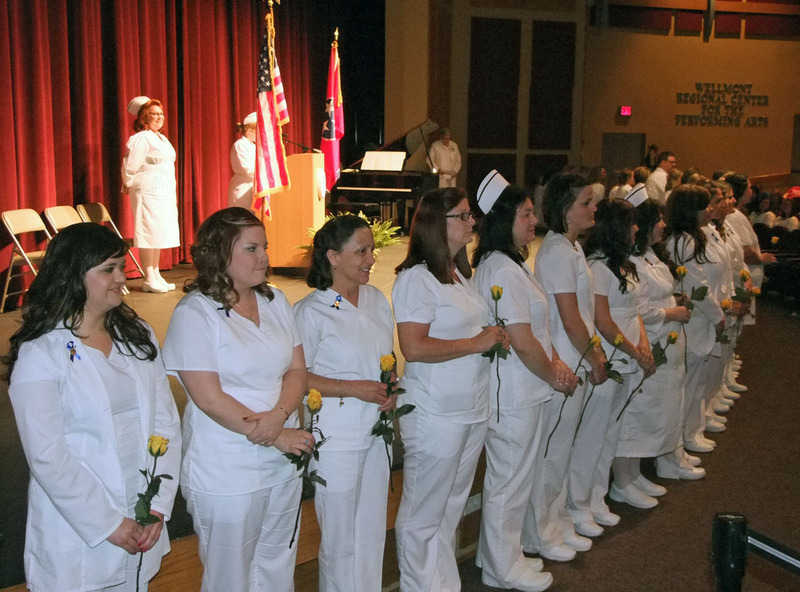 Northeast State recognized its sixth class of Nursing program graduates at the 2014 Pinning Ceremony held Thursday evening at the Wellmont Regional Center for the Performing Arts on the main campus in Blountville. The graduating class of 33 students received their nursing pins from the dean of Nursing, Dr. Melessia Webb. Northeast State Nursing graduates for 2014 are: Lori Armstrong; Susan Austin; Jennifer L. Boggs; Stephanie D. Brown; Erin K. Byrd; Amanda G. Canter; Megan C. Carty; Tara J. Casey; Kayla B. Chapman; McKinley K. Clark; Rhonda A. Freeman-Smith; Krista Gray; Janet R. Haun; LaTonya L. Huddleston; Miranda Johnson; Ryan B. Kerrins; Christy C. Krug; Misty M. Lawson; Sherry L. Lell; Lorrie A. Linkous; Isaac J. McMurray; Jessica B. Meredith; Brittany R. Miller; Kylie E. Mims; Mattea D. Moore; Kimberly A. Peret; Eva A. Pickard-Vanzant; Ruth E. Pickstock; Malika C. Richardson; Elizabeth Jo Sensabaugh; Ashley E. Sisk; Tiffany C. Weber; and David J. Woodby. The 2014 class of Nursing student take the Nightingale Pledge. 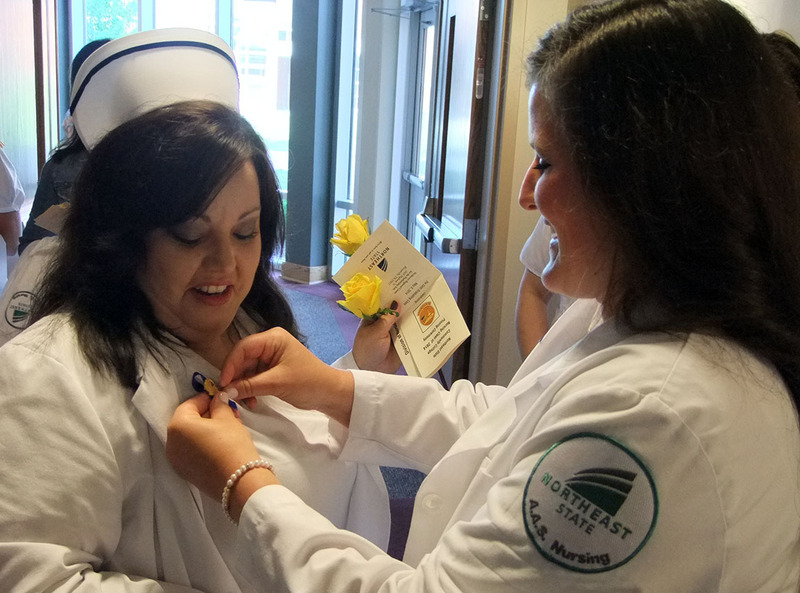 The pinning ceremony provides a symbolic welcoming of new nurses into the profession. Each graduating student received the Northeast State Nursing pin on his or her white lab coat signifying completion of the associate of applied science degree program. Nursing graduates completed two years of rigorous academic and personal demands. Malika Richardson received the program’s Outstanding Student Award. Richardson held the top grade point average in the nursing class. Jo Sensabaugh won the Adult Learner of the Year Award. The Community Support Award went to Miranda Johnson. Erin Byrd received the Student Support Award. Student Representative Award winners were Erin Byrd and Kylie Mims. Nursing students celebrate their pins. The nursing students graduating this spring will receive their diplomas on Monday May 12 at the College’s spring commencement ceremony scheduled for 7 p.m. at East Tennessee State University/Mountains State Health Alliance Athletic Center on the campus of ETSU in Johnson City. A series of courses in fiber optics offered in June by Workforce Solutions at Northeast State gives an overview of this exciting technical career specialty. Certified Fiber Optics Technician is a three-day introductory course designed to teach basic fiber optic networking. The course uses theory and hands-on activities to prepare the participant to take the Certified Fiber Optic Technician test. The test is sanctioned by the Fiber Optics Association (FOA) and given and graded the final class day. Registrants should have a working knowledge of computers and ability to see and identify small items. The course is scheduled for June 23-25, 8 a.m. to 5 p.m. Course fee is $700 and includes all books and study materials. Registration deadline is June 16. 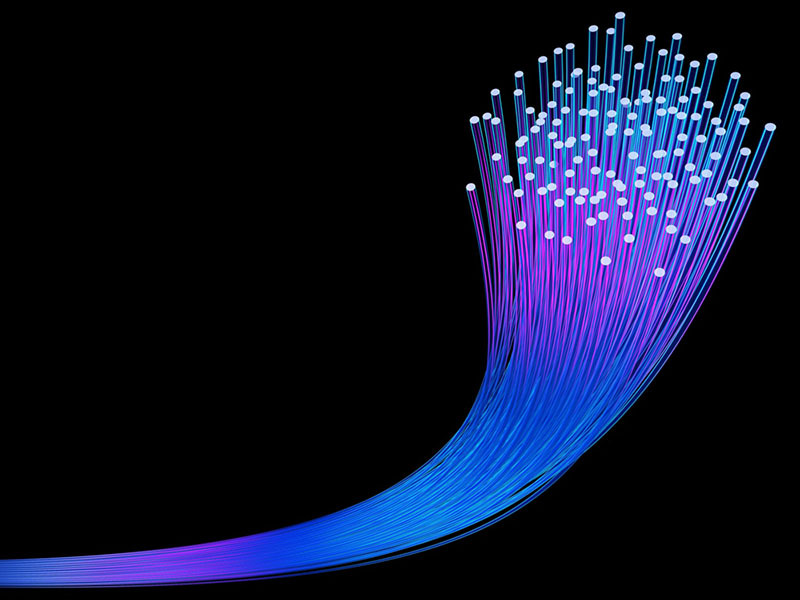 A series of courses in fiber optics gives an overview of this exciting technical career specialty. Certified Specialist/Testing and Maintenance offers advanced training of testing and maintenance of fiber optics networks. The two-day course emphasizes a clear approach to fiber optics testing standards with considerable hands-on activities. Suggested prerequisites include a CFOT course or another formal fiber optics training course within the preceding six months, or one year fiber optics-related experience. The course is scheduled June 26-27, 8 a.m. – 5 p.m. Course fee is $675 and includes all books and study materials. Registration deadline is June 19. Certified Fiber Optics Technician Outside is a two-day course focusing on learning how to properly install, test, and troubleshoot Outside Plant Fiber Optics Cable. Students will learn how to identify OSP fiber cabling types, recognize various outside plant closures used in OSP fiber installation, install, prepare, terminate, splice, and properly test and troubleshoot installed OSP fiber cable to existing standards. The appropriate mid-span access procedures will also be demonstrated during class. Prerequisites include a CFOT course or another formal fiber optics training course within the preceding six months, or one year of fiber-optics-related experience. Participants must have taken and passed the basic CFOT exam prior to taking Outside Plant Specialist Certification with the FOA. The course will be held June 28-29, from 8 a.m. – 5 p.m. Course fee is $775 and includes all books and study materials. Registration deadline is June 20. All courses are being taught the College’s main campus at Blountville, 2425 Highway 75, adjacent to Tri-Cities Regional Airport. For information or to register, contact 423.354.5520 or e-mail dlharrison@NortheastState.edu.